We have two churches serving the Catholic communities of Tadley, Mortimer, Burghfield Common, Kingsclere and the villages around. We aim to be a friendly, welcoming community strong in our faith. We invite you to join us in prayer and worship. For new parishioners please feel free to introduce yourself to a welcomer before Mass or our priest afterwards. You can also get in touch with us online by the form on the contact us part of this website. Our parish priest, Father Patrick Tansey, lives in the adjoining presbytery. Attached to the church is our parish room, used for meetings, groups, children's liturgy and coffee after Sunday Mass. 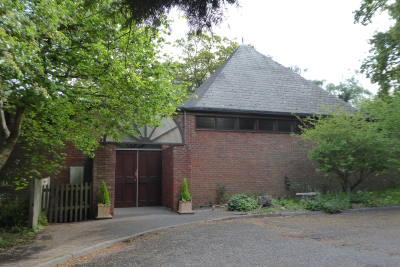 St Oswald's has a church hall available for parish and community use, for more information see the section in the activities part of the website. Both churches have car parking, wheelchair access and loop systems for people with hearing impairment.